*** This exhibition has been EXTENDED until Dec 30th. 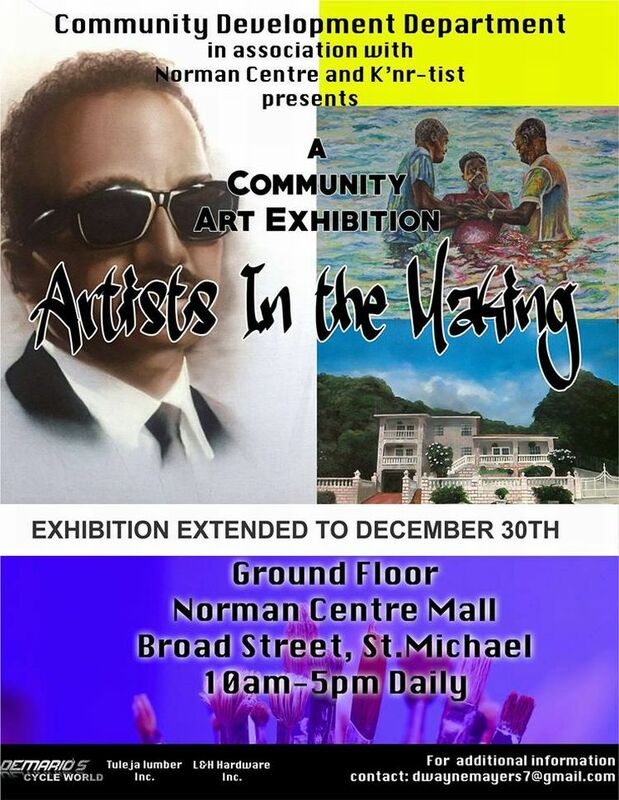 The Community Development Department, in association with the K'nr-tist and Norman Centre, presents a Community Art Exhibition entitled Artists In The Making. 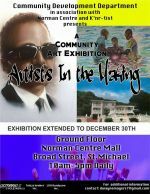 This exhibition is housed at the Norman Centre Mall, Bridgetown. This exhibition features works by members of Impacts AC (Art Club), students of the Community Art Career Programme and Troy Burgess‎. Painting are up for sale.